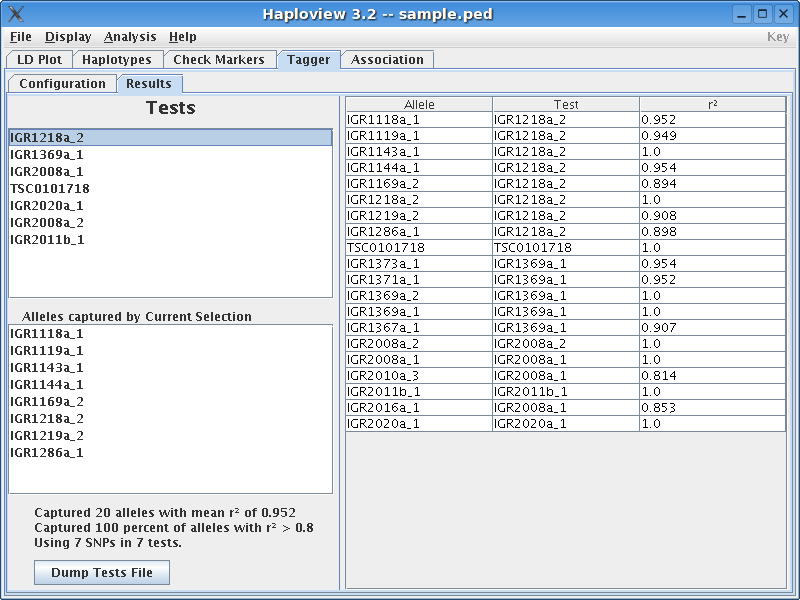 The left part of the screen shows the tests (either single SNPs or haplotype alleles) we've chosen and which SNPs are tagged by the highlighted selection. 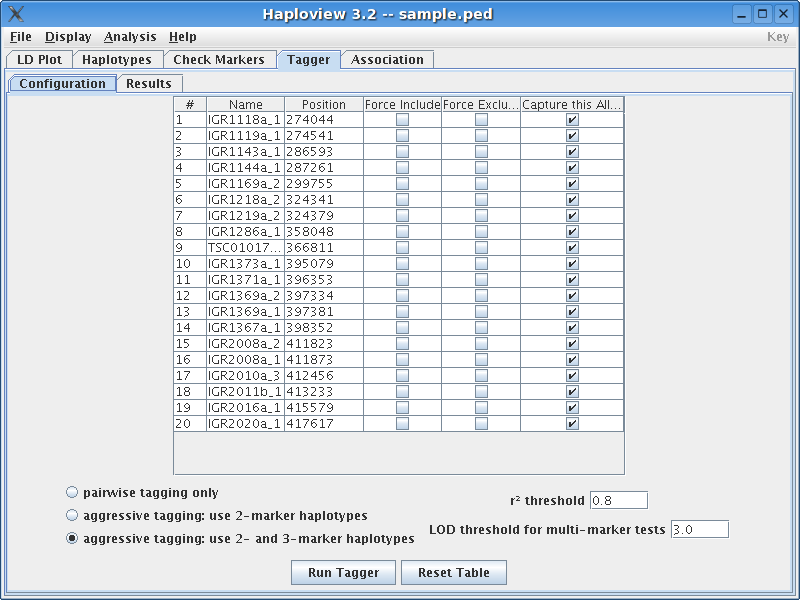 The right part of the screen shows all the alleles and which test best tags them. As always, more info is in the documentation.